Note: Jerry will be on vacation from June 9th through July 1st. Jerry has been a racing enthusiast since the 1977, the year of Seattle Slew. In my first three years of handicapping he had the good fortune to be greeted into our great sport by Seattle Slew, "Affirmed and Alydar" and then Spectacular Bid. What each of these marvels of the turf possessed was incredible speed. He noticed! Unlike most "pace" handicapper's who were devoted to figuring out the relative location each horse might assume in a race, Jerry was more interested in whether or not pace could yield information on form cycles and development. He also realized, that a good pace analysis could provide some terrific insights into "buried form" -- which often would lead to terrific win prices. Later on, in the late 1980's Jerry began to study form cycles using FINAL NUMBER products, and then handicapping on a daily basis with some of the icon's of handicapping in New York. 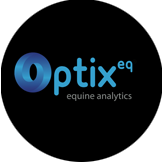 In 1988, using his computer skills -- Jerry began to develop a systems analysis to create software for a past performance product one that would analyze each leg of the race, for every horse in our database. In 1992 this product was widely sold in New York, by the name of "Pace Power Plus". 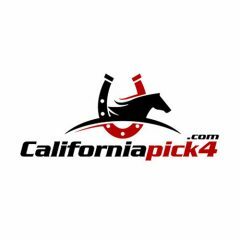 A daily racing product with both Pace and Final Numbers for each horse running. In 1997, Jerry left New York for Las Vegas, where he started the Jerry J's Power Page, which provides a single number to define "Current Form" -- synthesizing the best he has gleened from my deep studies on the cyclical patterns of Internal Speed figures and theories from his studies of Final Time speed figures...The Jerry J's Power Page has been widely distributed in Las Vegas and beyond for the past 18 years. 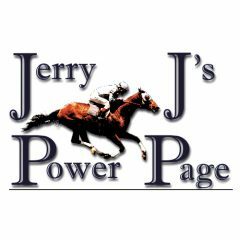 Jerry also joins Ralph Siraco on "Race Day Las Vegas", each morning to talk horses and do some handicapping... You can visit my web-site at www.jerryjpowerpage.com for more information.